Many Olympic champions are set to compete at the Weltklasse meeting in Zurich on Thursday (September 1) as the Diamond League series nears its climax for 2016. As well as around 14 Olympic gold medallists from Rio, 26 minor medallists are set to compete, plus eight reigning world champions and 17 winners from this summer’s European Championships. A number of British athletes are in action, including Laura Muir, Dina Asher-Smith and Adam Gemili. The Weltklasse is often described as the “two-hour Olympics” and with good reason. 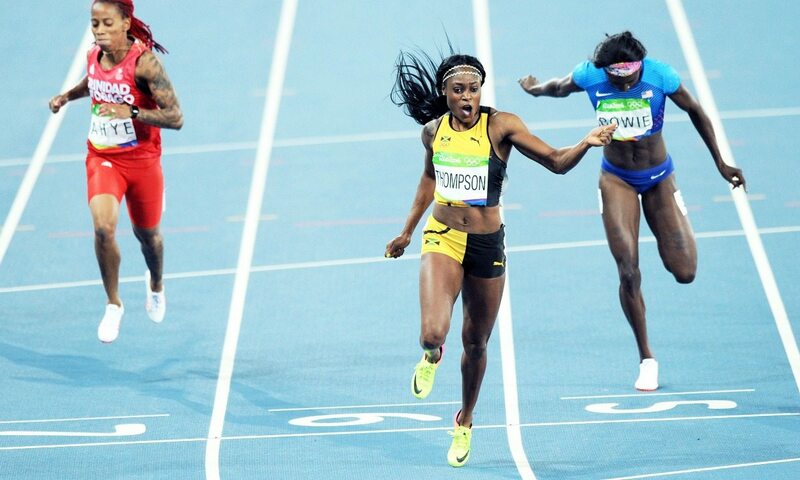 Elaine Thompson, the Olympic 100m and 200m champion from Jamaica, faces Dafne Schippers, Allyson Felix and Veronica Campbell-Brown over 200m. Together the sprint quartet has won 25 Olympic and world titles, including 12 in individual events. British record-holder Asher-Smith also forms part of the top field for this event, while Gemili and CJ Ujah line up in the 100m. The men’s pole vault sees an intriguing rematch between Rio winner Thiago Braz and world record-holder Renaud Lavillenie, while the women’s event – held the evening before the main meeting – was won by Britain’s Holly Bradshaw as she cleared 4.76m to beat Rio silver medallist Sandi Morris and Olympic champion Ekaterini Stefanidi. Britain’s Jazmin Sawyers, Lorraine Ugen and Shara Proctor all contest the long jump, while Jade Lally goes in the discus. Caster Semenya is set to race over 800m against a field that includes local Swiss hope Selina Büchel and Britain’s Lynsey Sharp, while Olympic steeplechase champion and world record-holder Ruth Jebet takes to the barriers. Britain’s Cindy Ofili races the 100m hurdles as part of a field also featuring world record-holder Kendra Harrison, while Eilidh Doyle contests the non-Diamond League 400m hurdles. Muir races a 1500m with Laura Weightman which will be paced by Jenny Meadows, while Martyn Rooney and Matthew Hudson-Smith race over 400m. Other Olympic champions set to compete include Spanish high jumper Ruth Beitia, US long jumper Tianna Bartoletta, Croatian discus thrower Sandra Perkovic, US 400m hurdler Kerron Clement, US shot putter Ryan Crouser and German javelin thrower Thomas Rohler. After Zurich, the Diamond League circuit moves on to Brussels for the Van Damme Memorial on September 9.